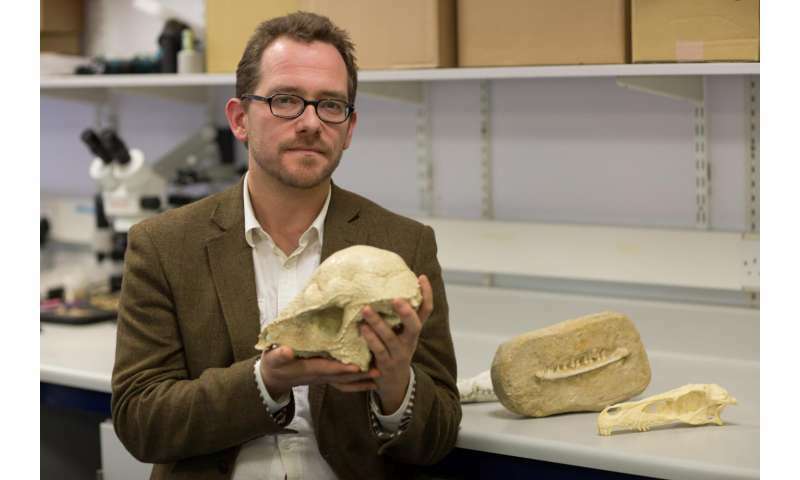 Dr Nick Longrich from the Milner Centre for Evolution, in the University of Bath's Department for Biology & Biochemistry, explained: "The species that are most vulnerable to extinction are the rare ones, and because they are rare, their fossils are less likely to be found. The species that tend to survive are more common, so we tend to find them. "The fossil record is biased in favour of the species that survived. As bad as things looked before, including more data shows the extinction was more severe than previously believed." Dr Longrich added: "Because mammals did so well after the extinction, we have tended to assume that it didn't hit them as hard. However our analysis shows that the mammals were hit harder than most groups of animals, such as lizards, turtles, crocodilians, but they proved to be far more adaptable in the aftermath. "You might expect to see the same few survivors all across the continent. But that's not what we found," said Longrich. "After this extinction event, there was an explosion of diversity, and it was driven by having different evolutionary experiments going on simultaneously in different locations. "This may have helped drive the recovery. With so many different species evolving in different directions in different parts of the world, evolution was more likely to stumble across new evolutionary paths."